Medical marijuana is becoming more widely accepted and it is being used for a wide range of conditions. Scientific evidence of its effectiveness for most indications is still slim or nonexistent, but one of the few that are actually well supported is nausea (emesis) from cancer chemotherapy. Marijuana has been used to treat nausea for thousands of years, and there are even FDA-approved THC-based drugs for this purpose. Thus, it is not surprising that pregnant women are using marijuana to control the nausea that often accompanies pregnancy (including the common “morning sickness” and the less common severe nausea called hyperemesis gravidarum). For example, according to a recent analysis, 2.6 percent of women who gave birth in Hawaii between 2009 and 2011 reported using marijuana during their pregnancy, and women who reported severe nausea during pregnancy were significantly more likely to use marijuana. While it may seem logical to treat the nausea of pregnancy with marijuana, women who do this could be putting their child at risk of neurodevelopmental and other problems. Prenatal exposure to marijuana has long been implicated in possible adverse health outcomes and behavioral abnormalities in childhood and later in life. A recent review and meta-analysis found that women who used marijuana during their pregnancy were more likely to be anemic, and their babies were more likely to have lower birth weight and to require placement in neonatal intensive care than babies of mothers who did not use marijuana. Past studies have also shown links—albeit not consistently—to altered neurodevelopment and to later problems with memory, attention, and problem solving during the school years. More research to clarify these risks is badly needed. The evidence for brain changes or birth defects is not as extensive or as clear for marijuana as it is for alcohol and tobacco, and it is often impossible in studies to separate out the potential effects of these substances, since many marijuana users also smoke cigarettes and/or drink. Other factors in the environment may also confound the associations. But marijuana’s potential to interfere with cognitive development has theoretical as well as empirical justification. The endocannabinoid system, with which THC interacts, is known to play a significant role in the proper formation of synapses during early brain development. Any substance that interferes with this system could have an impact on how the fetal brain is wiring itself. Also increasingly popular are synthetic cannabinoids (often called “Spice” or “K2” or “herbal incense”), which are chemically similar to THC and interact with the same cannabinoid receptors, but are often much more potent. Studies of the effects of prenatal exposure to synthetic cannabinoids in animals are showing even clearer signs of neurotoxicity and ability to cause birth defects. A recent study of one potent synthetic cannabinoid showed brain abnormalities, deformations of the eyes, and facial disfigurement (cleft palate) in significant portions of mouse fetuses exposed to a range of dosages of the cannabinoid at day 8 of gestation—roughly equivalent to the third or fourth week of embryonic development in humans (which is before many mothers even know they are pregnant). Even at the lowest dose given, over a quarter of the fetuses had deformed eyes, and the percentage of fetuses with birth defects rose linearly with dose. It is not yet clear how or whether these kinds of effects could translate to humans. Given what is at stake, it would be inadvisable for pregnant women (or those considering becoming pregnant) to use marijuana or other cannabinoids either recreationally or to treat their nausea. And even though we do not yet have enough data to prove that THC and other cannabinoids interfere with human fetal development, doctors in a position to recommend medical marijuana should be mindful of its potential developmental impacts and not recommend it to treat nausea associated with pregnancy. Future research will be needed to clarify the nature and extent of marijuana’s effects during prenatal development, but at this point, any benefit in reducing nausea is not worth the risks. This is a very misleading and inaccurate interpretation of an otherwise very positive study. While I don't currently recommend cannabis use during pregnancy, NIDA undermines the public's trust with this sort of fear mongering and bias. Grow up. NIDA and Dr. Nora Volkow are doing excellent work. I have a high respect for Dr. Volkow and her scientists. It is MUCH BETTER to be safe than sorry, especially for women who are pregnant (for the development of the unborn fetus). They (NIDA) are very clear that many who use, also combine with other substances and they are also very clear that scientific research is looking into things. Until results are in, I would much rather give young people the message to be cautious, than give into a drug industry that is only interested in gaining $$$$$. The drug industry, as the tobacco industry, doesn't care about our youth or their development. They want our youth to rationalize using marijuana for every ache and pain, even with a fetus involved. It is not easy to test because of so many people who smoke, drink or use other substances along with marijuana. I say, "Shame on you, Dr. Tishler," (other person who responded to this article on 9/24/16) after the highly valued work of this organization. - Are you aware that Dr. Nora Volkow is a pioneer in the discovery that addiction is a disease of the brain? I listen when she talks and her messages are very good ones, especially for our youth. The above article highlights the potential effects of marijuana during pregnancy. Even some studies have shown developmental issues in mice fetus. It is better to avoid marijuana to treat nausea during pregnancy until other studies prove no harmful effect on fetus. We generally hear such comments from drug addicts who support cannabis use, ignoring the warnings, and misleading the public. I hope that your patients become aware of your unprofessional attitude. I would not want you for a doctor, or a coworker. Dr Tishler (first comment) "doesn't currently recommend cannabis use during pregnancy". You disagree? And you call HIM unprofessional? You don't need to be a doctor to know that NO drugs or alcohol should be used during pregnancy! I feel sorry for YOUR coworkers! Seriously! 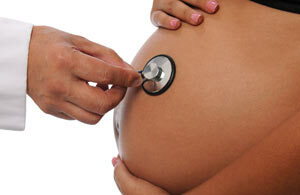 The previously prescribed Zofran turned out to be a great option for pregnant women. I can't wait to see what the future holds for Diclegis, another "safe" drug used for nausea experienced by pregnant women. This article does not state clearly enough that marijuana use has not been proven to cause these effects. Those "women who used marijuana", did they use anything else? Did they have proper prenatal care? Were they also prescribed zofran and diclegis? These are all important factors to consider, right? But not important enough to mention in this article apparently. NIDA. "Medical Marijuana Might Not Be a Safe Nausea Solution for Pregnant Women." National Institute on Drug Abuse, 22 Sep. 2016, https://www.drugabuse.gov/about-nida/noras-blog/2016/09/medical-marijuana-might-not-be-safe-nausea-solution-pregnant-women-0. NIDA. Medical Marijuana Might Not Be a Safe Nausea Solution for Pregnant Women. National Institute on Drug Abuse website. https://www.drugabuse.gov/about-nida/noras-blog/2016/09/medical-marijuana-might-not-be-safe-nausea-solution-pregnant-women-0. September 22, 2016.